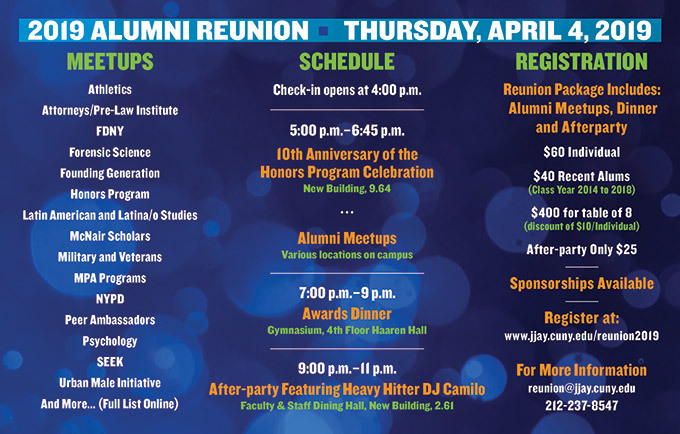 John Jay’s 2019 Alumni Reunion on April 4th promises to be a memorable event. Organizers have revved up the schedule of events by introducing new meetup groups that will gather before the awards dinner. These 15 meetup groups let attendees mingle, reconnect, and network with groups and cohorts they identify with from their time at John Jay, such as, NYPD, McNair Scholars, Veterans, Pre-Law, or Athletics. After checking in, an “influencer” for the meetup group will act as a host, helping members of the group make connections. For alumni who were in the Honors Program, the meetup group acts as a double celebration, as this year marks the program’s 10th anniversary. 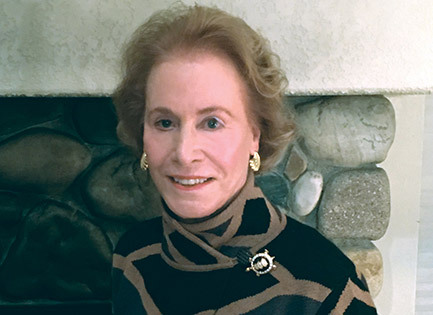 After the meetup sessions conclude, attendees will make their way to the awards dinner where they can help celebrate this year’s Alumni Reunion honorees who have helped pave the way to success for others and have served as inspiration to the entire John Jay Community. Winner of the Outstanding Young Alumnus Award, Mario Benabe ’14 is paying it forward by changing public education in one of the poorest areas in New York City. 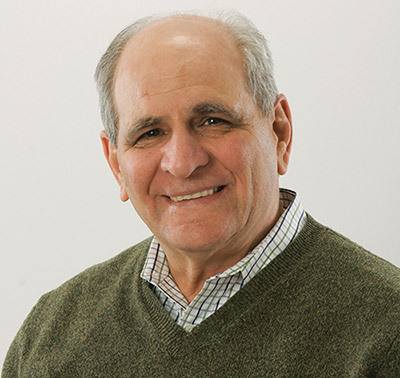 He has founded the Wildflower New York Charter School in the South Bronx, the first public Montessori program in the state of New York. “The program is a neighborhood-nested, child-centered, culturally and linguistically diverse public Montessori program,” said Benabe. 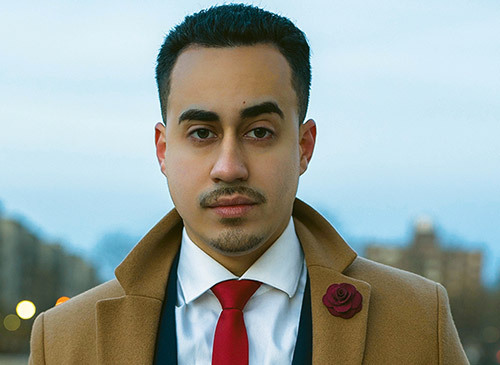 After the awards dinner alumni will continue the celebration and dance the night away at an after-party featuring music from Heavy Hitter DJ Camilo, known as the International Club King. He’s been named “National Club DJ of the Year” two years in a row. This year’s event promises to be a memory-making event, filled with joy, excitement, dancing and more importantly, opportunities to connect with former classmates, professors, and some of the most influential people in their fields. Come back, connect and celebrate with us at this year’s Alumni Reunion. Make sure you register for the event, pick your meetup group, and get your dancing shoes ready. We can’t wait to celebrate with you.